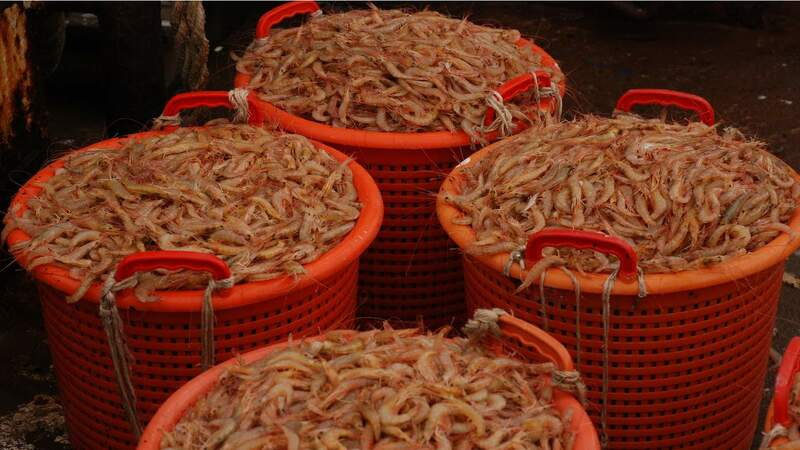 How collaboration between the government, NGOs and researchers empowered the first tropical shrimp fishery to receive MSC certification. On the Northeast shoulder of South America, just north of Brazil, you’ll find a former Dutch colony two thirds of the size of the UK, swathed in dense rainforest. So dense in fact, that the majority of its 500,000-strong population live scattered along its narrow coastal plain. This is Suriname, and you’d be forgiven for not having heard of it before. 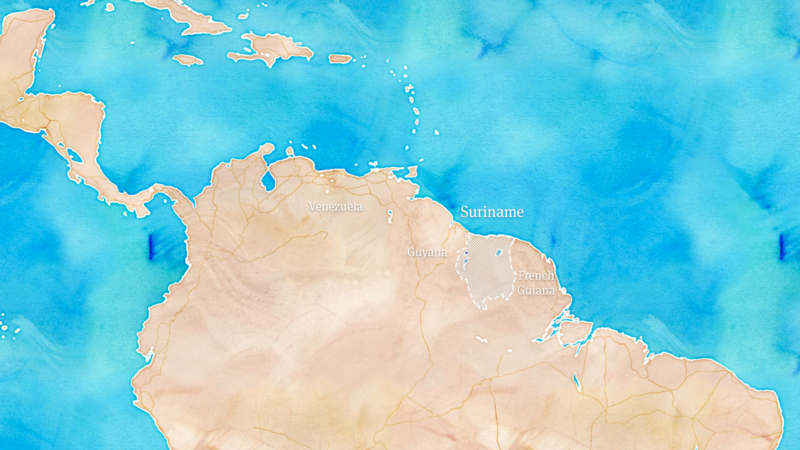 “Where is Suriname?” is among the top Google searches for the country. 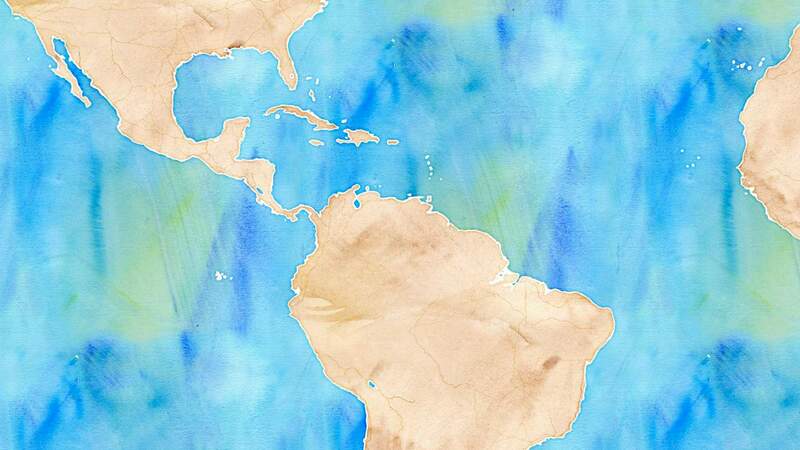 Dip a toe in the sea and you’ll be met not by the azure waters and coral reefs of the Caribbean to the country’s north, but instead by mangrove forests and vast mudflats, fed by the River Amazon's silty outflows. 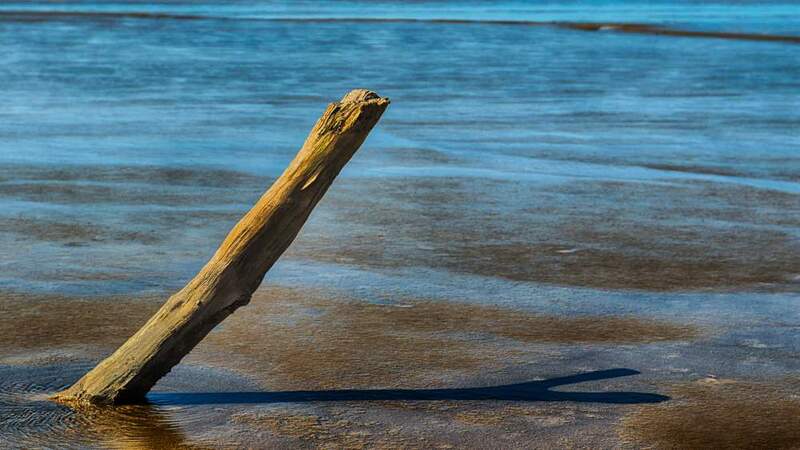 This nutrient-rich inshore habitat provides home to a diverse array of burrowing creatures, one of which has brought together government ministers, NGOs, scientists and a Dutch seafood processor for the very first time. 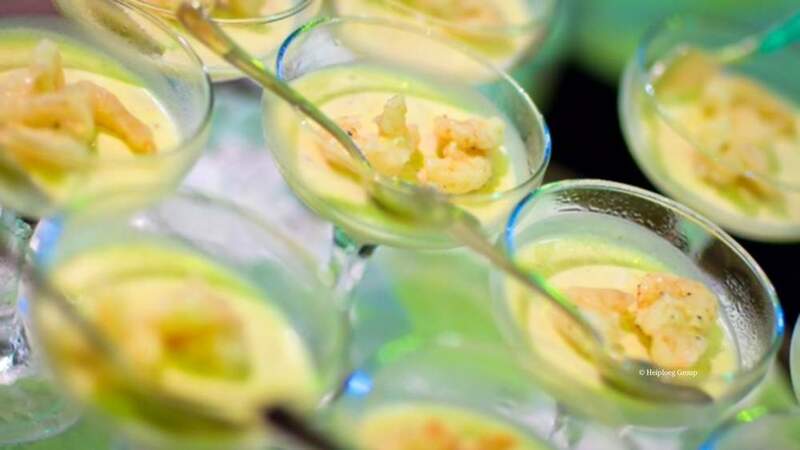 In the mid-1990s, as an alternative to the traditional catch of Penaeus prawn which was then in decline, fishers began catching Atlantic seabob (Xiphopenaeus kroyeri) a smaller white tropical shrimp, abundant in Suriname’s coastal waters and across the wider Caribbean. 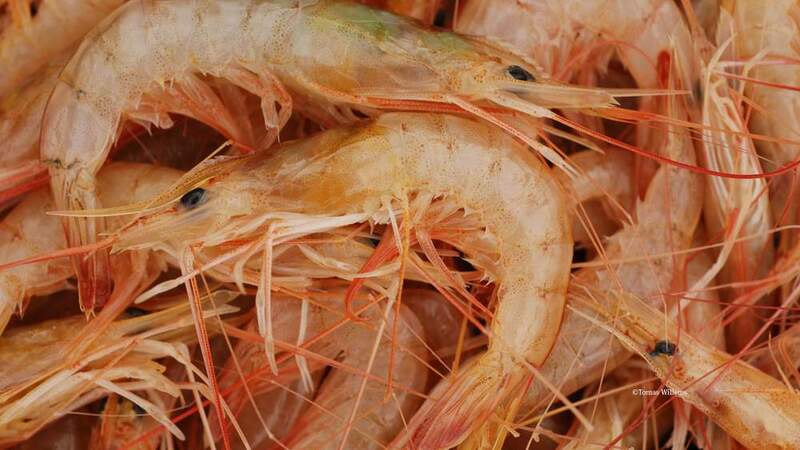 Reaching 6cm when mature, it lives closer to shore than other species of shrimp, often in dense aggregations. 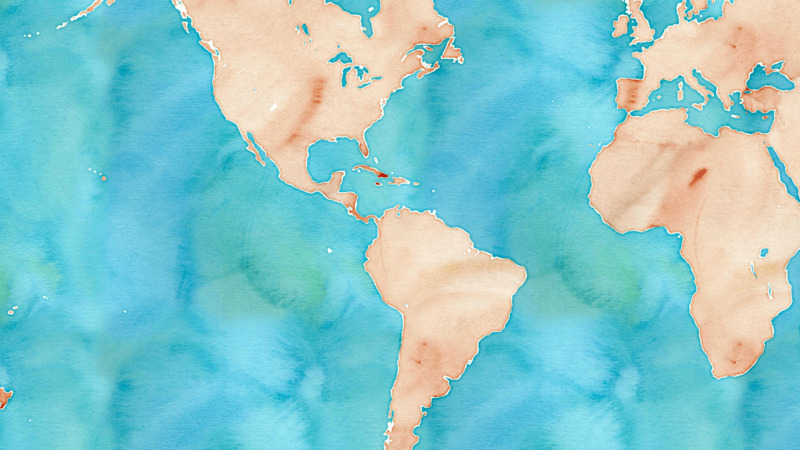 Suriname quickly became the third largest producer of Atlantic seabob in the world. Recognising the growing demand for sustainably sourced seafood in European markets, the Heiploeg Group, one of the continent's largest shrimp processors and owner of one of two seabob fisheries in Suriname, commissioned an MSC assessment in 2009 as part of its Corporate Social Responsibility program. But like many developing world fisheries, the seabob fishery lacked the complete, long-term scientific data required to meet the requirements of the MSC’s default assessment process. It therefore became one of the first fisheries in the world to be assessed in part using the MSC Risk-Based Framework. The framework provides a structured outline against which the risk that a data-deficient fishery is having impacts on species, habitats and the surrounding ecosystems can be determined. It was developed to ensure all fisheries have equal access to the MSC program and its associated benefits. An initial pre-assessment revealed that the fishery needed to address several issues in order to become certified. For example, it initially lacked a formal stock assessment, had gaps in its data collection practices, and did not yet have a strategy in place for managing any interactions with endangered, threatened and protected species in the area. The feedback provided an important impetus for change. 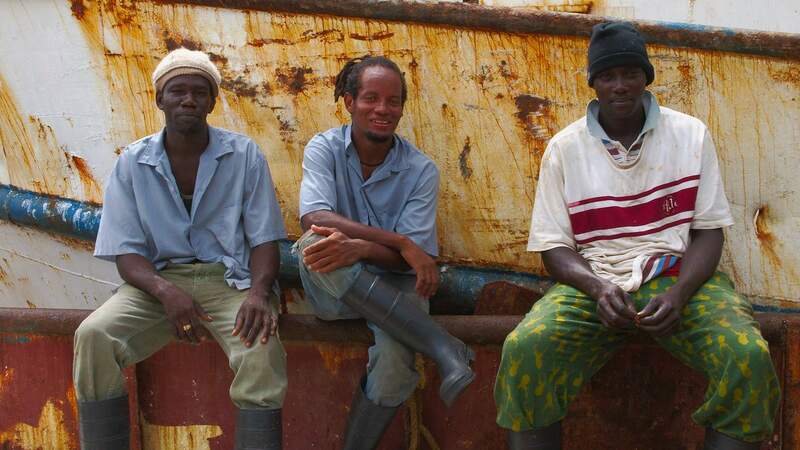 Using the MSC requirements as a framework to drive improvements to the fishery’s sustainability, the Heiploeg Group quickly recognised that collaborating with fellow fishers, scientists and the Suriname Government would be critical to success. Bycatch reduction panel, introduced to meet MSC requirements. 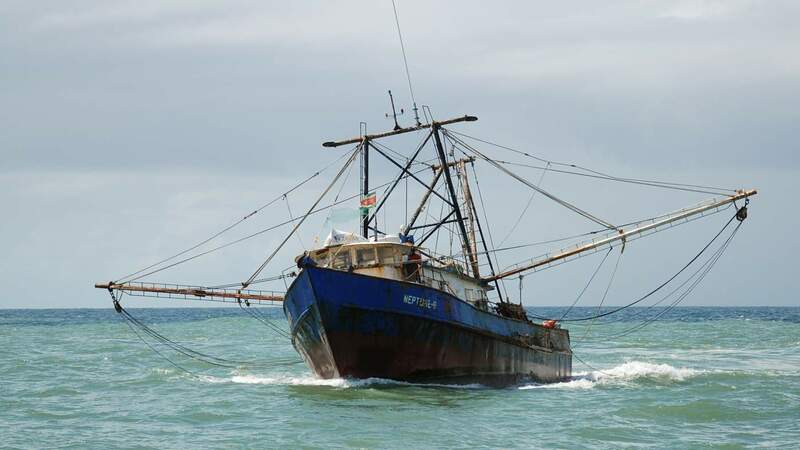 The fishery quickly established a seabob working group including representatives from the fishery’s only competitor in Suriname (Namoona/SAIL), the Suriname Government and NGOs including WWF. 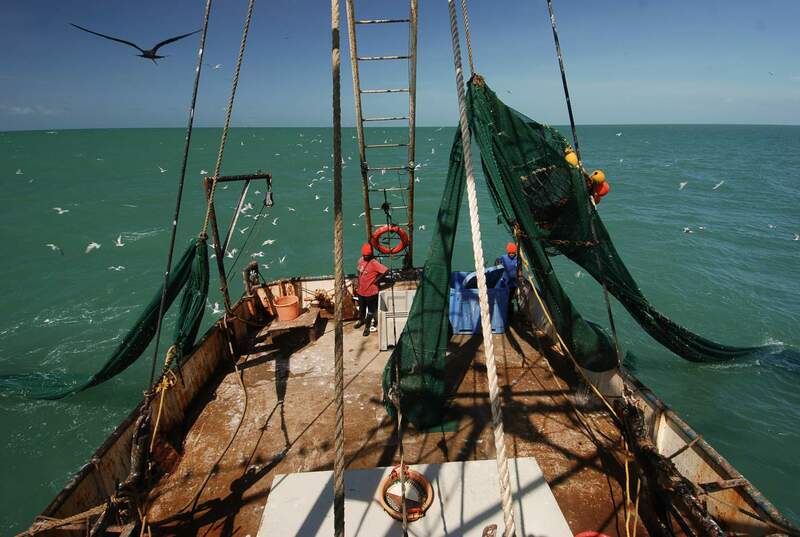 The group began meeting monthly to discuss the fishery’s management. To confirm that stocks were not overfished, the Suriname Government in turn commissioned a full stock assessment. Fishers assisted scientists in collecting 300,000 samples from catches over the course of two years which, together with government data, allowed sustainable catch limits and a Harvest Control Rule to be developed to prevent over-harvesting stocks. 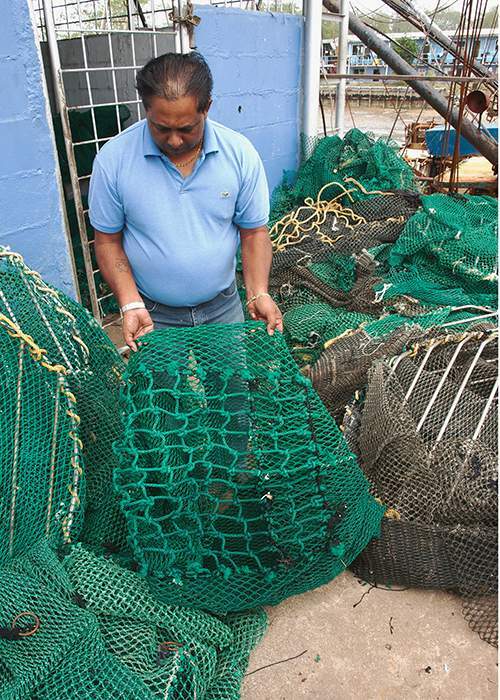 The fishery had already introduced turtle exclusion devices to its nets, but to further reduce bycatch, it introduced two escape panels (sections of net with a larger mesh size) across the fleet to minimise the bycatch of other species, like small fish. During field trials, bycatch was reduced by between 12 and 40 percent, benefiting not only populations of non-target species, but also the efficiency of operations, with less on-deck sorting required. 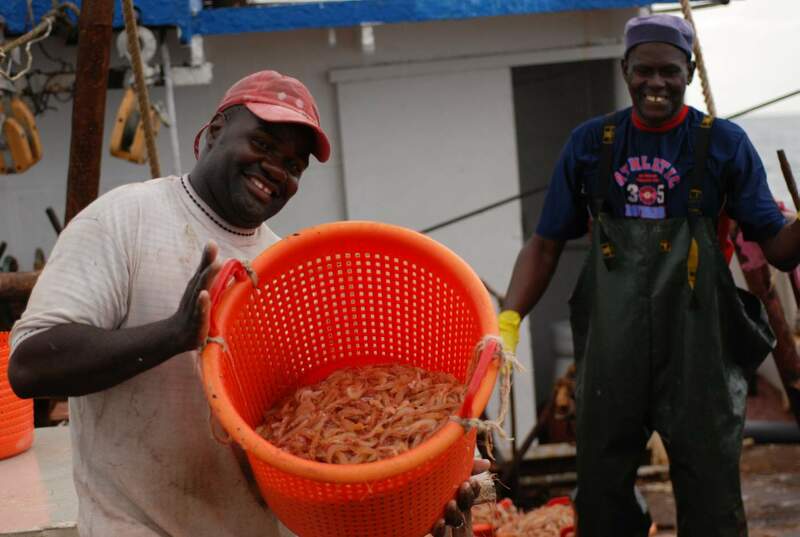 The improvements paid off and in 2011, Suriname’s seabob fishery became the first tropical shrimp fishery in the world to achieve MSC certification. Since becoming certified, the fishery has worked hard to collect further information and improve its operations to meet best practice. It has commissioned research to determine that seabob catch outside the fishery was not having a negative impact on the stock and to confirm that no vulnerable species were regularly being caught as bycatch, and has also minimised bycatch by refining the design of the escape panels it had previously introduced. 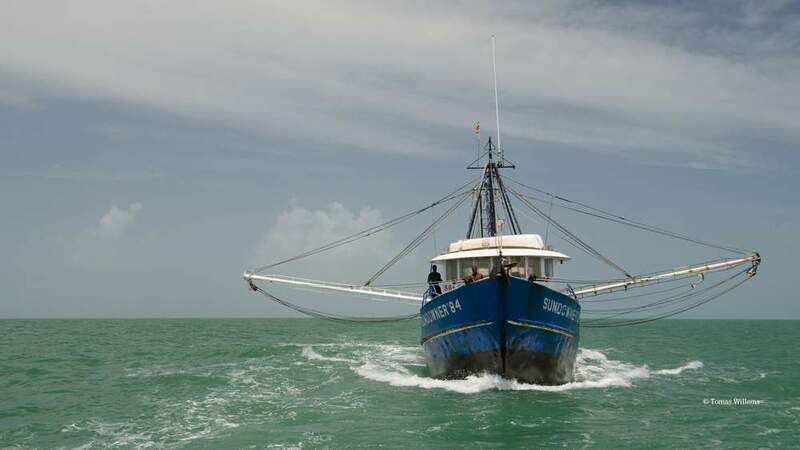 Over the same period, the Suriname Government invested USD $20 million in enforcement vessels to strengthen its monitoring and surveillance programmes, reaffirming its commitment to sustainable fishing. These collective efforts paid off and the fishery was successfully re-certified in 2016 after meeting all of its original conditions. 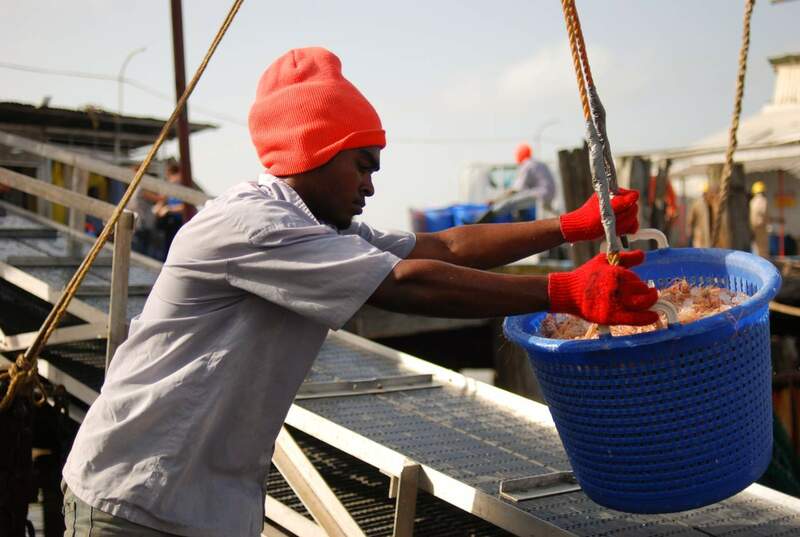 "Thanks to the enthusiastic collaboration of fishers, government and industry, the Suriname seabob fishery successfully overcame many challenges on its path to certification. 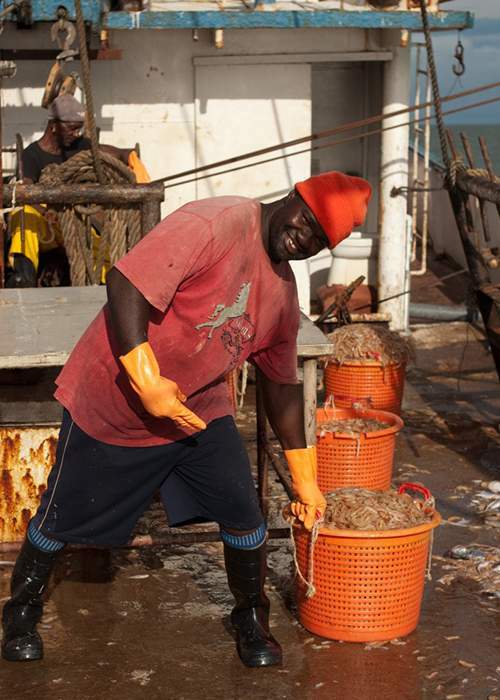 We hope that the improvements it made and the benefits we are now seeing will inspire fisheries in countries similar to Suriname to work towards MSC certification."